Barbora Padrtova is a Fellow in the Geopolitics and Security Unit at Polar Research and Policy Initiative. She is also a post-doctoral researcher at the Masaryk University in Brno, Czech Republic, where she graduated with a PhD in International Relations (2017). Previously Dr. Padrtova was a research group leader at the Institute of International Relations in Prague which elaborated an analysis of Arctic policy tailored for the purposes of Ministry of Foreign Affairs of the Czech Republic. She also served as Programme Director for Transition (2014-2015) and Project Manager (2011-2014) at the Bratislava-based security and defence policy think-tank CENAA. In 2011, she was also working at the Political Section of the Embassy of the Republic of Iraq in Washington, D.C. Her research interest focuses mainly on geopolitics and security in the Arctic region and NATO-Russia relations. She has published numerous academic and policy papers, while she has presented outcomes of her research at several high level international conferences. Dr. Padrtova is a Czech Delegate before the International Arctic Science Committee (IASC) Social & Human Working Group. 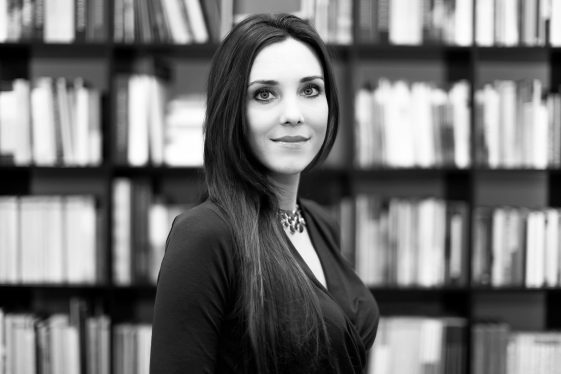 Barbora Padrtova is also a member of the UArctic Thematic Network on Geopolitics and Security (University of the Arctic and Northern Research Forum). Apart from her research and academic activities, she is a keen reader of different kinds of literature, a passionate traveller and an active horse rider.